One of the worst forms of addiction that silently destroys human body is tobacco. Use of tobacco is such type of addiction that it is difficult for the user to restraint himself from using it. What is the characterization of tobacco in reality? What are its impact on the society and human body? In order to unearth the answer, let us see what tobacco or tobacco products are in the first place. “products entirely or partly made of the leaf tobacco as raw material which is manufactured to be used for smoking, sucking, chewing or snuffing”. “tobacco product means anything made from tobacco which can be inhaled through smoking, and also includes Biri, Cigarette, Cheroot, Cigar and mixture used by pipe”. It is stated that the definition of tobacco product under our law deals with only one element of the entire tobacco products, which is the tobacco used for smoking. But the idea of smokeless tobacco is neglected in Bangladeshi law. Smokeless tobacco is spit tobacco, chewing tobacco, chew, chaw, dip, plug, and probably a few other things, which come in two forms: snuff and chewing tobacco. Use of Smokeless tobacco is very common in our country, mostly among women. As a matter of fact, the use of smokeless tobacco among the women is higher than the men. According to the survey conducted by Global Adult Tobacco Survey Bangladesh, 2009, the percentage of tobacco use has been increasing in Bangladesh over the years. In Bangladesh 43.3% of adults (41.3 million) currently use tobacco, whether, in smoking or smokeless form. 27.2% of the overall tobacco users i.e. 25.9 million of adults currently use smokeless tobacco. Among them, 26.4% are men and 27.9% are women. It is stated that a high rate of such non-smoking tobacco usage in Bangladesh could have resulted from the definitional deficiency of legislative provisions. In essence, the law in Bangladesh only deals with smoking tobacco products and remains silent about the smokeless tobacco product. In other words, the law in Bangladesh impliedly agrees to the use of non-smoking tobacco. This is a clear violation of FCTC provisions. It has been medically proven that long-time use of chewing tobacco can lead to cancer. It is however important to note that cancer from chewing tobacco products does not just occur in the mouth; some of the cancer-causing agents in the chewing tobacco products can get into the lining of one's stomach, esophagus, and even into the bladder. Due to its harmful impact, non-smoking tobacco usage must be restricted in our society. Very often we fail to appreciate the fact that the non-smoking tobacco usage silently destroys the social norms and values in our society. Children of non-smoking tobacco user mother get easily familiar with such tobacco product. These kids do not learn to understand that even non-smoking tobacco products are bad for health. It can also lead them to think that smokeless tobacco products are for the girls and smoking tobacco products are for boys. 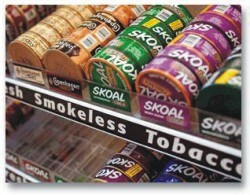 In conclusion, the fake concept of smokeless tobacco products needs to be wiped down. Though the impact of both tobacco products is more or less same but the law of our country only deals with smoking tobacco products. No single provision related to smokeless tobacco products exists in the law. Hence, the law needs to be amended and implemented properly. Bangladesh must comply with the FCTC provisions and related guidelines. The author is a researcher of the LawDev (Bangladesh).